Update II: NBC News has reported that Bolton called Bossert into his office Tuesday morning and told him he was being fired. Update: As we anticipated weeks ago, John Bolton's arrival in the West Wing is already causing major upheaval among the ranks of the West Wing's national security and homeland security staffers. As the Washington Post points out, Bossert's departure comes a day after Bolton's first official day on the job. Bossert, who was a staunch ally of HR McMaster, likely knew his days were numbered as soon as McMaster announced his retirement. Bossert, a favorite of Chief of Staff John Kelly, is leaving one day after national security adviser John Bolton began the job. Bossert, an ally of former national security adviser H.R. McMaster, was believed to be on shaky footing in the Bolton era and he resigned two days after Michael Anton, the National Security Council spokesman, also quit. Bossert, a longtime government official who was often behind the nuts-and-bolts planning of the administration's initiatives, wasn't a marquee name. But he was liked by the president, senior administration officials said, and often defended Trump's agenda in meetings. "The president is grateful to Tom's commitment to the safety and security of our great country," White House press secretary Sarah Huckabee Sanders said in a statement. Of course, Bossert isn't Bolton's first ouster: Late Sunday, National Security Spokesman Mike Anton told Politico on Monday that he was leaving the administration. More turmoil in the White House to start on Tuesday morning, where Bloomberg reports that Trump's Homeland Security Advisor, Tom Bossert, is said to be resigning. 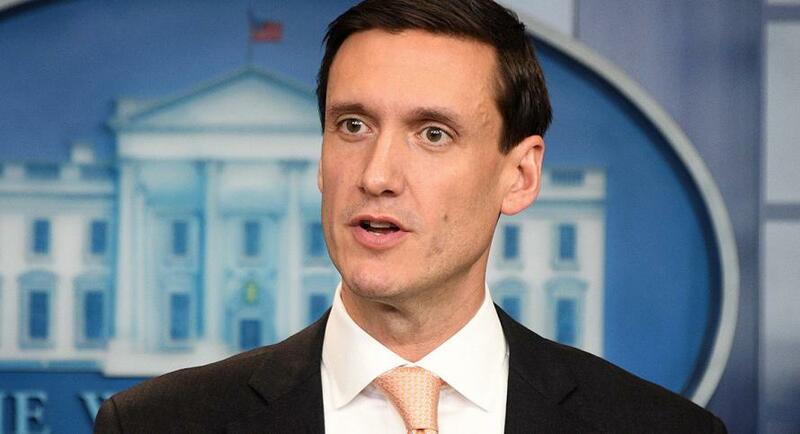 Prior to his (brief) White House tenure, Bossert was a fellow at the Atlantic Council and prior to that he served as Deputy Homeland Security Advisor to President George W. Bush. In that capacity, he co-authored the 2007 National Strategy for Homeland Security. Prior to that, Bossert held positions at FEMA, the Small Business Administration, the Office of the Independent Counsel, and the House of Representatives. He also was appointed as the Director of Infrastructure Protection under Bush, overseeing the security of critical U.S. infrastructure, a post he held for two years. In his latest public appearance, Bossert made the media round this weekend, and in an interview on ABC's 'This Week' with Martha Raddatz, he questioned the "timing" of the alleged chemical weapons attack in Syria, but he called it "a quite serious problem" and said "all options" remain on the table. Bossert said the attack falling exactly one year after the U.S. bombed a Syrian airbase over another suspected use of chemical weapons in rebel-held territory "struck" him, but the era where the U.S. acted as world police is over. "I think the president’s got a point that’s been very clear,' he said. "For too long and the United States of America has been taken advantage of in their responsibility to provide security for the entire world... putting their resources and their treasure and their boys and girls on the line... American troops aren’t going to fix the six or seven different ongoing conflicts and wars going on in the Middle East or in Syria at this stage." Bossert also said that "the pendulum has swung in the wrong direction for too long and the United States of America has been taken advantage of in their responsibility to provide security for the entire world." "The president is grateful for Tom's commitment to the safety and security of our great country. Tom led the White House's efforts to protect the homeland from terrorist threats, strengthen our cyber defenses, and respond to an unprecedented series of natural disasters. President Trump thanks him for his patriotic service and wishes him well."